"just because" / early birthday gift. So pretty! We are spending the afternoon celebrating my great uncle Ron's birthday. 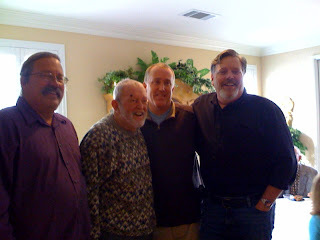 Here he is with 3 of his sons (my dad's cousins). This weekend we celebrated Timmy's life and his graduation into Jesus' presence. Marshall and I agreed that the day went just like it should have: it honored Timmy and the Savior who created him. Be sure to check out the photo gallery to view, post, or download pictures. We started the day at the funeral home, where we got some time first as a family and then with a small group of friends. It was a special time to be together and to cry together. Outside of the room was a beautiful portrait of Timmy. It was a black & white picture that our friend Dayna had taken and then hand painted in color. Along with that picture, there were also some blue and white balloons at the entrance. On either side of Timmy's casket there were picture boards of Timmy's life. We enjoyed looking at them and remembering the times when Timmy was stronger and we enjoyed his bright smile and cheerful laughter. There were also some brightly colored butterfly balloons on each side of Timmy's casket. These were there because Timmy loved shiny balloons, and to remind us that Timmy has broken out of his (human body) cocoon and has been made new in Jesus' presence. After the funeral home, we went to the church and enjoyed a beautiful service together. Pastor Mark Brown led the service. It started off with a slideshow using Plumb's song "God Will Take Care of You." That album was something Timmy needed in order to sleep for a long time, and we just couldn't have a service of remembrance without playing something from it. After Mark prayed, he and two other dear friends did an excellent job sharing about Timmy's life and some of the stories from the times that they had spent with him. 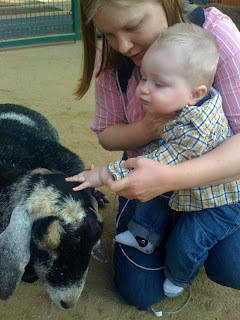 Our friend Kathie spoke to represent our times in Idaho, when Timmy still was mostly healthy. My favorite Kathie story was when we had requested prayer for Timmy and they were looking for a volunteer to pray - and she was SO quick to volunteer for that job. It was fabulous. Then our friend Lauri spoke to represent our times in California. She played a special role in Timmy's life as his unofficial nurse and helper. Then we enjoyed a beautiful slide show of pictures of Timmy using a song called "Who's My Pretty Baby" by Elizabeth Mitchell. Then Mark gave a beautiful message based on Philippians 3:20-21. To conclude, Marshall's dad read Romans 8:18-27. Following the service, the ladies at the church provided finger foods for a very nice reception. It was great to get to spend a little time with everyone and celebrate Timmy's life together. At the very end, we decided to release the balloons together. It was just beautiful to watch them fly away and think that Timmy is now free from the body that was getting so heavy for him to carry. So now as our families have all gone home and we look toward an uncertain future, may Timmy's life remind us of the One who made us and cares for us and who loves Timmy even more than we do. Timothy Joseph Elfstrand was born on August 11, 2007 in Caldwell, Idaho. His first few weeks were challenging because he had such a hard time learning to eat, but for several months after that he appeared to be growing normally. 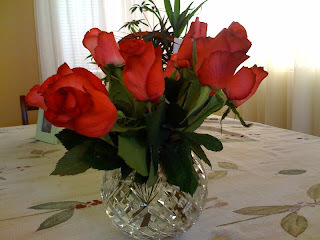 After we moved to California in February 2008, we noticed several months where there were very few changes in his development, and there were things that he did once but couldn’t repeat. On June 12, 2008, Timmy became so weak that he could no longer stand. On June 13 he was diagnosed with Leigh Syndrome, a type of mitochondrial disorder. Something in his mitochondria (the energy powerhouse of the cells) was broken, which meant that his body could not produce enough energy for brain and muscle function. Next he lost the strength to eat and was hospitalized for six weeks. After he got home, our family had five months together to enjoy our sweet boy. We love him dearly and miss him so very much, but we rejoice that he is in the presence of the Lord and has all the energy he needs. For more information about mitochondrial disease, see The United Mitochondrial Disease Foundation or The Mitochondrial Disease Action Committee. 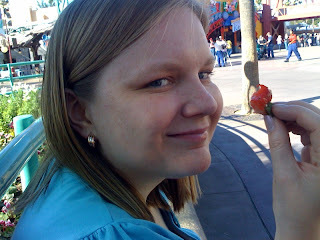 I am Josi Kenline, a sister in Christ who has been working with the Elfstrands to establish a memorial fund. The fund is with their bank, US Bank. Timmy's memorial service will take place at Trinity Church in Redlands, California at 1 PM on Saturday, January 17, 2009. In lieu of flowers please contribute to Timmy's Memorial Fund. Information regarding Timmy's Fund will be posted soon. If you are wanting to provide meals for the Elfstrands please contact Debbie Pierce. to help in some way, please feel free to contact: Martha Daggett or Lauri Ficke. Thanks!! Timmy went home to be with Jesus today. 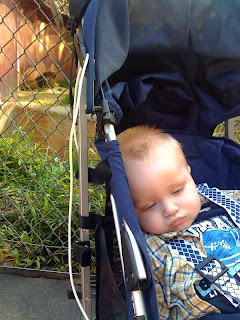 In the last few weeks and especially the last few days, Timmy grew more and more tired. Yesterday he slept through almost the whole day and night. 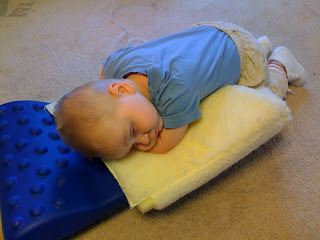 This morning he was awake for about an hour before he fell asleep in tummy time. He slept for about another hour. Then at about 10:30 AM, I looked over at him from the kitchen and realized that he had stopped breathing. I thought that we had lost him, but after I picked him up and held him he started to gasp for breath. After that, every breath became a struggle. It seemed that all of his energy was being used just for breathing. He stayed with us for several hours. Marshall and I took turns holding him. Timmy's two favorite nurses came to help us decide the best way to keep him comfortable. He passed into the presence of our Lord at around 3 PM today. We praise the Lord that he died peacefully at home in our arms, surrounded by people who loved him. We will post information about funeral arrangements as we know them. Thank you to everyone who has loved Timmy, prayed for us, and helped us in so many ways. We are so grateful that Timmy had such a wealth of love surrounding him. Although we will miss him terribly, we know that he will be happy and strong now, in a way he couldn't be on this Earth. Just in case anyone's seen the news, yes, we did feel a small earthquake just before 8 pm. It was apparently a 4.5, over in San Bernardino. We are all fine, and nothing fell or was damaged or anything. It needs to be a bit stronger than that to be interesting. 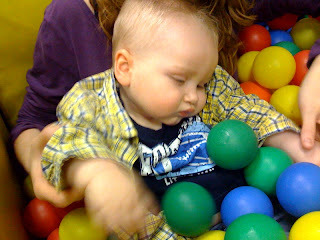 Timmy got to play in the ball pit today for occupational therapy. Fun! I was sitting at the computer tonight when I heard noise coming from Timmy's room. When I went to investigate, I found that he was laughing in his sleep! I had to join in! If only I knew what he was dreaming about! Celebrating the new year at the zoo.